You've found them! 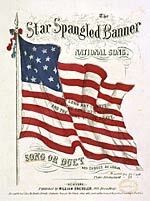 Sheet music for the Star Spangled Banner, the words and music to the national anthem of the United States of America. The Star Spangled Banner (6-PACK) By Francis Scott Key, John Stafford Smith. Arranged by Barry Talley. (TTBB a cappella). Festival Choral. Size 6.7x10.5 inches. 4 pages. Published by Hal Leonard. (8703281) 6-PACK includes six original copies of this piece. The Star Spangled Banner (6-PACK) Arranged by John Clayton Jr. (SATB). Choral Library. Size 6.8x10.5 inches. 4 pages. Published by Hal Leonard. (45812024) 6-PACK includes six original copies of this piece. The Star Spangled Banner (6-PACK) Performed by Sandi Patti. Arranged by John Higgins. (SATB). Festival Choral. Size 6.7x10.5 inches. 16 pages. Published by Hal Leonard. (40819124) 6-PACK includes six original copies of this piece. 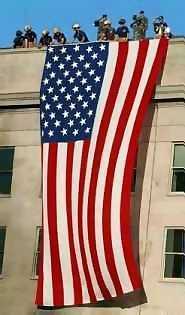 The Star Spangled Banner (6-PACK) Arranged by John Clayton Jr. (SAB). Choral Library. Size 6.75x10.5 inches. 4 pages. Published by Hal Leonard. (45812025) 6-PACK includes six original copies of this piece.